Nikwax Leather Cleaner will remove contaminants such as dirt and revitalise the durable water repellency (DWR), enabling your leather gear to perform better and for longer. Nikwax Leather Cleaner™ is environmentally friendly; it is non-hazardous, WaterBased and biodegradable. 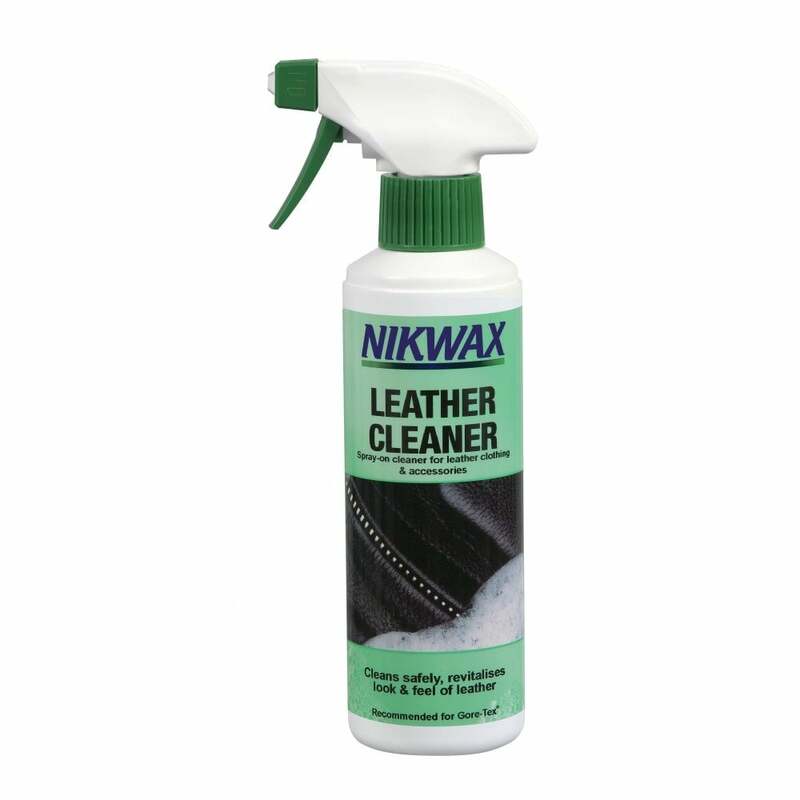 Nikwax Leather Cleaner™ is the product of choice of professional motorcycle and equestrian trainers. One 300ml bottle is enough to clean 1-2 items depending on the condition of the leather being treated and the size of the item. Nikwax Leather Cleaner™ removes water absorbent dirt and stains picked up during use; this revitalises Durable Water Repellency (DWR) and causes water to bead on the outer surface once more. When Nikwax Leather Cleaner™ alone does not revitalise the DWR of your leather gear it’s time to re-waterproof using Nikwax Leather Restorer™. Shake well before use. Follow care label instructions. Use gloves. Note: For light/coloured leathers and soft nubuck/suede, test on a hidden area first. To clean leather footwear use Nikwax Footwear Cleaning Gel™. To waterproof leather items treat with Nikwax Leather Restorer™ and for footwear use Nikwax Waterproofing Wax for Leather™ or Conditioner for Leather™. Leave leather clothing, equipment or accessories to dry at room temperature. Keep away from fires and radiators, drying too quickly can crack leather.